When it comes to make believe, A-list actress Ivory is a professional. 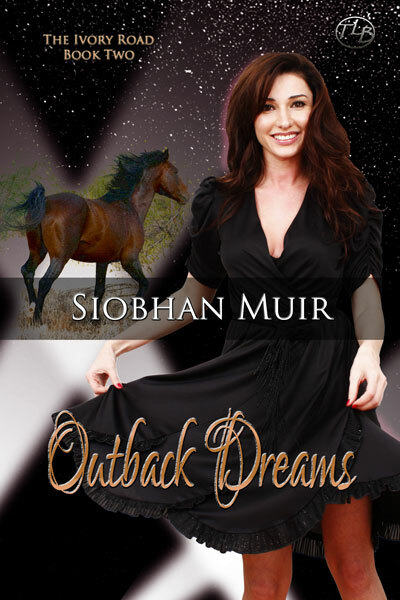 But when a desert hike takes her across a dimensional rift, her real-life self, Iliana Rory, must separate fantasy from reality. The man she swears is the costar in her next movie might share the same surname and appearance, but there are no sets in this Mr. Crowe’s world, no props, and no director to yell “cut” before blood is spilled. With a fortune in stolen treasure and the forces of the Knalish army hot on their trail, Brandon Crowe and his partner, Ahmad, must cross a desert neither of them knows well. Mistaken for their guide, Iliana seizes any chance to stay ahead of the army and survive in this new world. Adventure straight out of a Hollywood blockbuster might be on Iliana’s bucket-list, but she never dreamed there’d be the real possibility of death when the end credits roll. 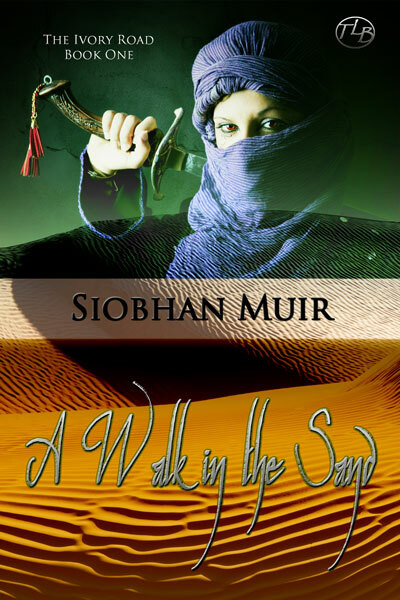 A Walk in the Sand is the first story in the four part serial recounting Iliana’s journey along the Ivory Road. A low rumble across the sandy wastes caught Iliana’s attention. She squinted against the glare and focused on a growing plume of dust. People on horseback raced toward her over the dunes, dressed in the same clothing style as her own costume. They whipped their horses into a full gallop even though it was the hottest part of the day. None of the riders looked particularly friendly and their path would take them right over the top of her. Unless she got out of the way. There’s an idea. Iliana spun and tripped over something at her feet. She landed hard in an undignified heap next to the large object on the ground. She scanned the yielding lump and her stomach sank. A body lay staring at the sky, the lower face covered in black silk. “Oh, my God!” She scrambled to her knees and bent over him, feeling for a pulse or a puff of air from his mouth. Nothing. He had darker skin than she, though he wore similar clothes. His sword lay on the ground next to him and blood stained the sand beneath him with a deep red splash. She jerked to her feet and backed away. My sword was clean, right? I didn’t kill him, right? Whatever had happened to the man, nothing could change it now. She swung her gaze around, searching for a place to hide. She didn’t want to end up with the same fate when the approaching riders arrived. Where the heck am I gonna hide in the frickin’ desert? Green foliage caught her gaze and she snorted. Of course, an oasis. No wonder the riders were headed this way. Hopefully it would be large enough to hide her and they’d move on. Yeah, and while I’m dreaming, can I have a cup of reality with my magic unicorn? She took off running for the trees, her gut tight and her heart thundering. Tall palm trees covered her in their shade as she crashed through the underbrush. The sounds of a stream filtered through the crackling fronds and she damn near stumbled into a pond full of clear water. At the far side of it stood a dappled gray Arabian horse, resting in the shade with one hind foot cocked as it waited for its master to return. Could she take the horse and ride away from here? Sure, and go where? She had no idea where she was or how far the next watering hole was from here. Hell, she didn’t even know if she could speak the local language. If the people meant her no harm, whatever chased them would probably not be to her liking. She grimaced and wrapped the silk mask over her face as she edged around the tree into the deep shadow to wait. A few moments later, the sounds of horses and men filtered into the quiet of the oasis and the riders pulled their horses up beside the pool. Everyone dismounted and filled canteens and water skins. One of the men strode around to the gray horse, his gaze sweeping the trees as he called out someone’s name. The rich baritone of his voice soothed her ears and reminded her of someone, but she couldn’t remember who. He stood shorter than the others in his party, but carried an air of command with him. At least I can understand them.